Time: Forever, seriously. About 1.5 hours. Why it took so long I have no idea. 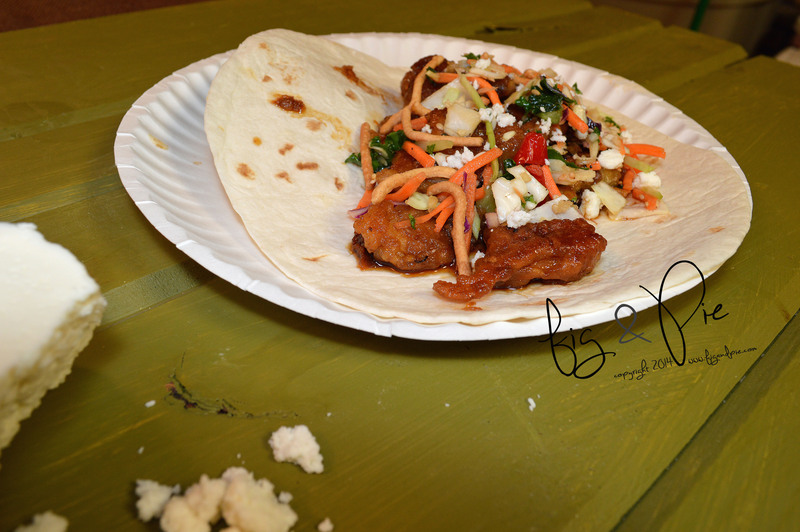 These tacos were pure yumsy. Though they took forever. I thought this would be a quick meal, so the next time around I’ll be modifying a few things to make it a quicker dinner and a healthier dinner. Believe me, there will be a next time. 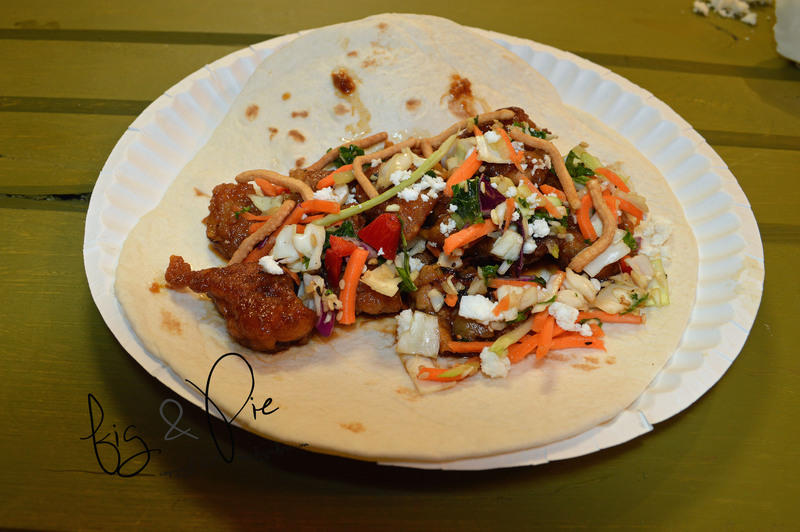 1) Stir the marinade ingredients together in a large bowl with the chicken, then set aside while you make the sweet & spicy slaw (below). 2) Whisk the flour, water & cornstarch together until there are no lumps. 3) Heat a few inches of coconut oil in a cast iron skillet until it’s sizzling hot. 4) Add chicken chunks to the flour/cornstarch/water mixture and coat well. Cook the chicken until golden and cooked through and then place on paper towels to remove excess oil. Add the chicken to the bowl with the sauce and toss well. 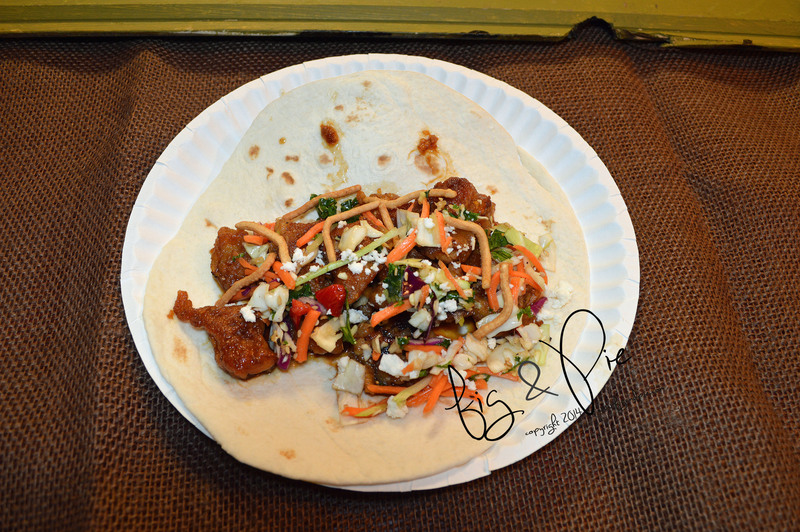 1) Cut and stir all of the ingredients for the slaw together in a bowl, keep refrigerated until read to serve. 1) Heat the tortillas up until warm. 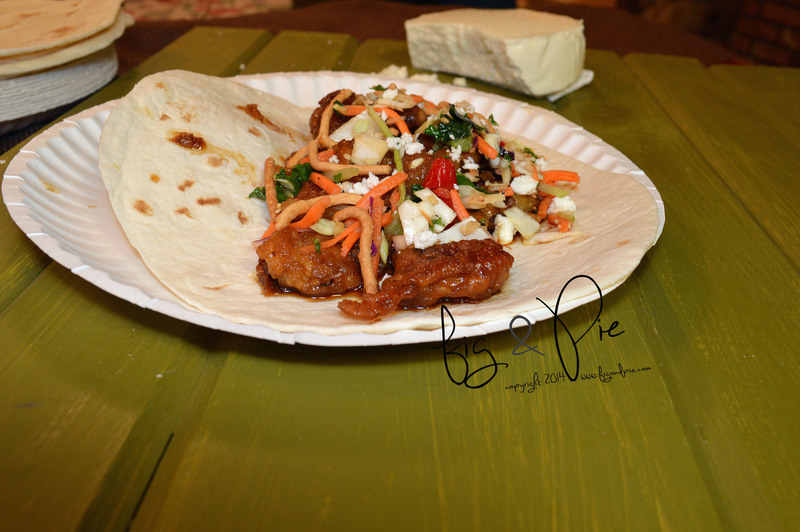 2) Place the chicken on each tortilla, top with some of the slaw, queso fresco, and chow mein noodles. Drizzle with the extra marinade.